This month’s Nostalgia Drag World’s spotlight is on Theodore Peters aka “Teddy”. Ted Peters has been a mainstay with the Midwest Nostalgia Pro Stock Association “Paying Tribute to the Legends” almost since the inception of the group. 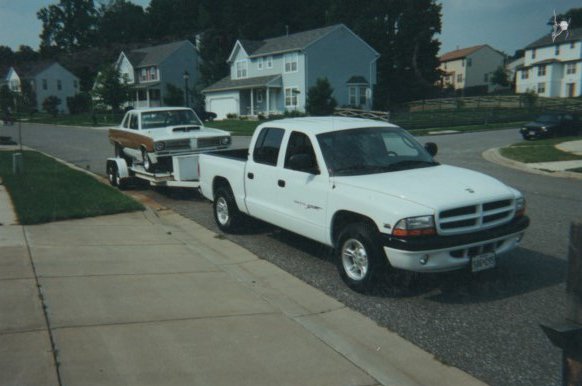 He has also been given the title of “King of the Mopar Nation” by the local Chrysler faithful. Ted’s interest in hot cars came at an early age as he would hang out in the garage with his older brother and watch him work on his buddy’s cars. It was no surprise to anyone that as soon as he got his driver’s license he immediately bought a 1971 Ford Torino with a 351 Cleveland motor. 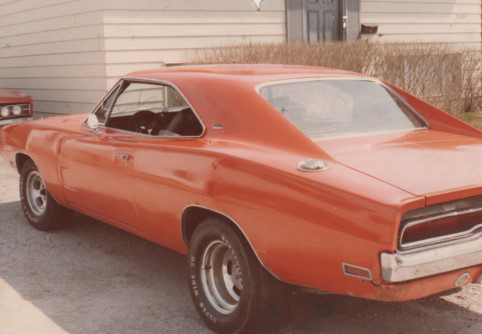 Most of the guys in the area were running Mopars at the time, so Ted decided to get with the program and sold the Torino to purchase a 340 Duster with a 4 speed. Ted took the Duster to Maryland International Raceway and made a few passes down the quarter mile. 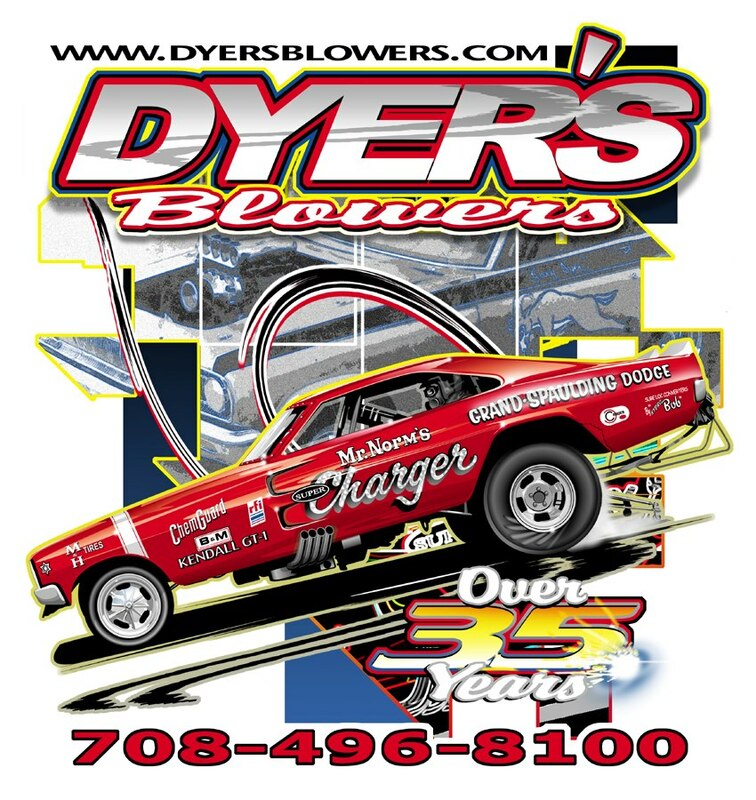 He decided that organized drag racing was much safer and more fun than running on the street so he turned the Duster into a dedicated race car. 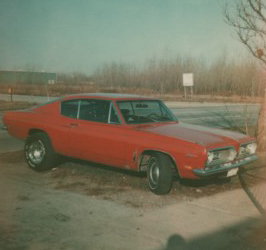 Through his teenage years, Ted owned, wrenched on and drove a variety of Chrysler products including a 1969 340 Barracuda and a 70 440 Six Charger, both equipped with 4 speed transmissions. His tuning prowess and quick shifting ability garnered him a reputation of a guy that you DON’T want to line up against. Ted then made a move that would change his life forever! Like his father, Ted joined the US Air Force and made it a lifelong career. Ted was proud to serve his Country and this commitment took him on travels all over the world. He was stationed in Alaska, Iceland, Honduras and several other places far-far from home. Although he doesn’t talk a lot about it, Ted is a Veteran of both Desert Shield and Desert Storm. 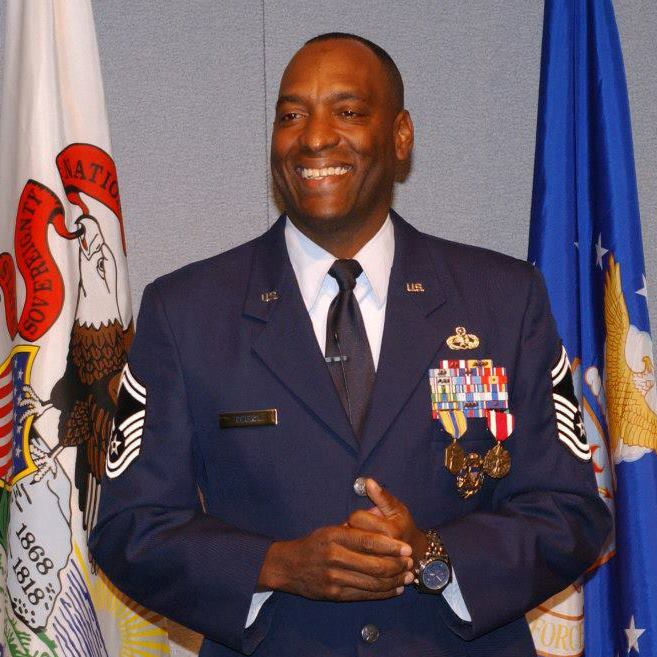 Ted rose to the admirable rank of Senior Master Sergeant. After 23 years Ted decided to retire from the military and pursue other interests. However, retirement did not last very long and he soon found himself involved with a Junior ROTC program that he is very proud of. He also became a certified NHRA Tech Inspector at Route 66 Raceway Joliet, IL. Senior Master Sargent Ted Peters at his retirement party. Ted retired after a Steller career that spanned over 23 years.